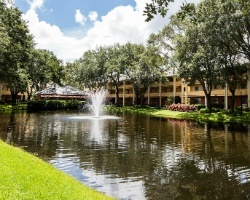 Situated on a beautiful lake, this centrally located resort offers equally convenient access to all the major amusement parks and attractions that make Orlando a great vacation destination. Numerous dining options abound in the area. Resort accommodations range from one- to five-bedroom, fully appointed villas. 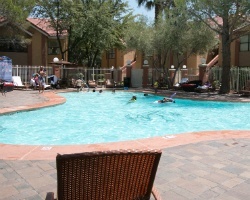 On-site recreation includes a swimming pool, sports court, interactive water play area, and mini-golf. Relax after a full day of fun, while watching the sun set over your lakeside surroundings. 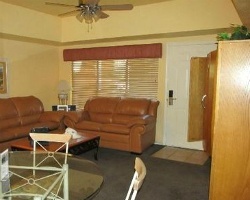 The resort is located just minutes from Universal Studios, SeaWorld, and Wet'n Wild. 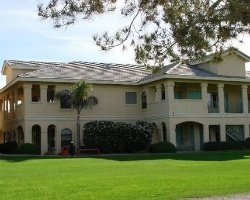 Amenities include paddle-boats, fishing, lighted tennis courts, and planned adult and children's activities. 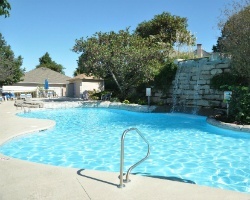 You will also find swimming pools, indoor and outdoor whirlpool spas, basketball, volleyball, and game room on site. Golf, fishing, and a variety of family-oriented entertainment are also nearby. Come experience the magic of vacationing in Orlando! 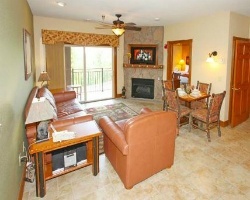 *Westgate Branson Lakes at Emerald Pointe* is located on the shore of Table Rock Lake and offers spectacular lake views! 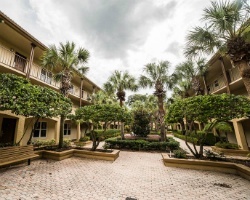 On-site amenities include a marina and boat dock, outdoor and indoor swimming pools, fitness room, nine-hole miniature golf course, and game room. The one- and two-bedroom villas feature fully equipped kitchens, spacious dining and family rooms, and washer/dryers. Some villas offer whirlpool tubs and private decks facing the lake. Step outside for a day of bass fishing or drive 10 minutes to Branson for shows, dining, and shopping! 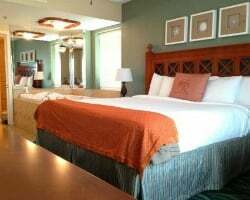 Nestled in the heart of the Ozark Mountains just outside Branson, *Westgate Branson Woods Resort* provides easy access to live entertainment and shows, as well as spectacular lakes, championship golf courses, theme parks, outlet malls and eclectic restaurants. Resort amenities include outdoor and indoor pools, exercise facility, hiking trails and more. The one- and two-bedroom suites feature full kitchens, dining rooms, living rooms with fireplaces and Jacuzzi whirlpools. 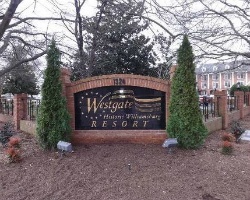 *Westgate Branson Woods* resort features 145 acres of forested countryside with winding trails, an Olympic-size outdoor pool, an indoor pool, fitness center, horseshoes, volleyball, shuffleboard, and basketball. The resort is a short drive from Branson's famous West Highway 76 strip, offering more than 70 choices of live shows, theme parks, lake activities, factory outlets, historic attractions, and other family venues. 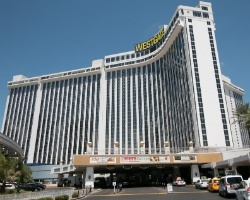 *Westgate Flamingo Bay at Las Vegas*, just three miles from the Las Vegas Strip, is convenient to everything the city has to offer, but remote enough to provide a peaceful retreat from all the excitement when you just want to relax! *Westgate Harbour Beach Resort* is located on one of the world's most famous beaches. The tropically decorated one-bedroom suites are equipped with a sleeper sofa, full kitchen, whirlpool tub, color cable television, and a private terrace overlooking the ocean. Offering an abundance of family activities, the resort is just a short walk to several fine restaurants and nighttime entertainment. 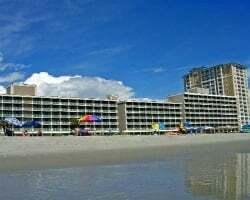 Vacationers may stroll along the miles of white sandy beaches, breeze over to the Daytona International Speedway, or take a quick drive to Central Florida and enjoy a visit to the area's greatest attractions. Set on one of Florida's most scenic lakes, *Westgate Lakes* features comfortable resort villas with such amenities as a full kitchen, screened porch or patio, separate living and dining areas, leather furniture, and master bedroom with a color television and whirlpool bath. 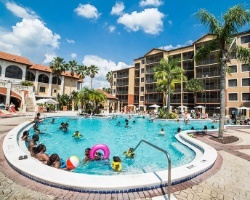 Just minutes from Walt Disney World, Universal Orlando, and SeaWorld, Westgate Lakes guests enjoy tennis courts, swimming pools, hot tubs, basketball, volleyball, paddle boats, planned adult and children's activities, and a full-service spa. The on-site Smokehouse Grill is one of Orlando's best barbecue restaurants. 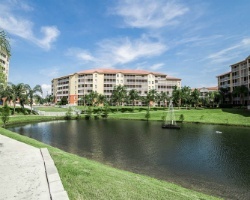 Set on one of Florida's most scenic lakes, *Westgate Lakes* features comfortable resort villas with such amenities as a full kitchen, screened porch or patio, separate living and dining areas, leather furniture, and master bedroom with a color television and whirlpool bath. 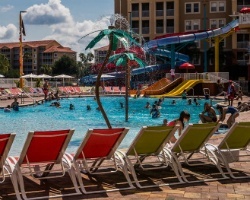 Just minutes from Walt Disney World, Universal Orlando, and SeaWorld, Westgate Lakes guests enjoy tennis courts, swimming pools, hot tubs, basketball, volleyball, paddle-boats, planned adult and children's activities, and a full-service spa. The on-site Smokehouse Grill is one of Orlando's best barbecue restaurants. Set on one of Florida's most scenic lakes, *Westgate Lakes Phase V,* completed in 2008, features comfortable resort villas with such amenities as a full kitchen, screened porch or patio, separate living and dining areas, leather furniture, and master bedroom with a color television and whirlpool bath. 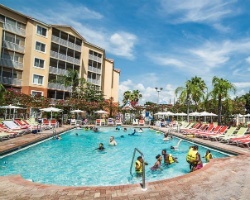 Just minutes from Walt Disney World, Universal Orlando, and SeaWorld, Westgate Lakes guests enjoy tennis courts, swimming pools, hot tubs, basketball, volleyball, paddle-boats, planned adult and children's activities, and a full-service spa. The on-site Smokehouse Grill is one of Orlando's best barbecue restaurants. *Westgate Leisure Resort* offers a serene environment in the heart of the city. 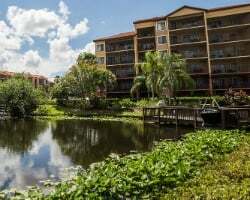 Located less than 10 minutes from Walt Disney World and SeaWorld, the resort is amid all of the city's famous attractions and activities. After a busy day sight-seeing, relax in the resort's pool or spend time enjoying all of the amenities of home in your luxurious suite. *Westgate Leisure Resort II* offers a serene environment in the heart of the city. 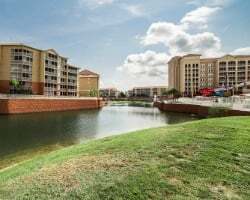 Located less than 10 minutes from Walt Disney World and SeaWorld, the resort is amid all of the city's famous attractions and activities. After a busy day sight-seeing, relax in the resort's pool or spend time enjoying all of the amenities of home in your luxurious suite. *Westgate's Painted Mountain Golf Resort* overlooks stunning Red Mountain. The John Jacobs Golf School, pro shop, and Shelby's Restaurant are just steps away. Less than 20 minutes away, find great shopping and dining in Phoenix, Tempe, and Scottsdale. Enjoy horseback riding, rafting, and balloon rides, as well as other area activities. The Grand Canyon is also within driving distance. 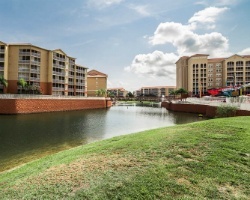 *Westgate Palace* is located just minutes from Walt Disney World, Universal Studios and SeaWorld Adventure Park in Orlando. 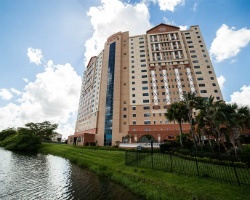 Rising 17 floors, Westgate Palace is situated over a beautiful lake, with Wet'N'Wild water park on the opposite side of the lake and Universal Studios' skyline in full view from the higher floors. 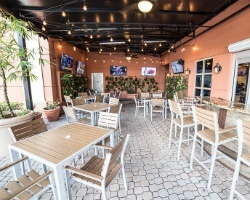 A wide variety of restaurants, shops and the Orlando International Airport are less than 10 miles away. 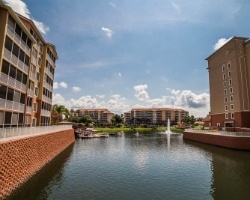 Westgate Palace is convenient to all major Orlando attractions, as well as the Orange County Convention Center. *Westgate River Ranch* is one of the world's first timeshare dude ranches. 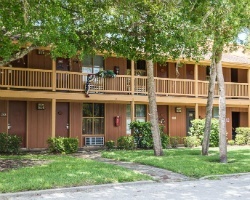 The resort is located on the banks of the Kissimmee River and offers amenities such as a rodeo arena, marina, golf course, restaurant, saloon, and country store. Outdoor activities abound on land or in water. 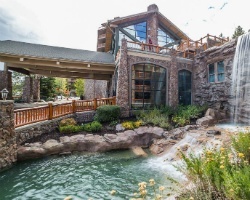 Located at the Great Smoky Mountain National Park, *Westgate Smoky Mountain Resort* is the perfect place to enjoy a peaceful mountain getaway. Each cabin offers a creek-side or mountainside view, and includes such amenities as a garden-style whirlpool tub, full kitchen, and cable television. 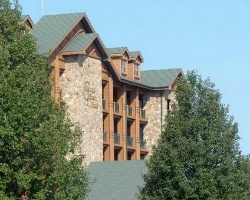 Built with genuine logs, Westgate Smoky Mountain Resort's log cabin-style architecture complements the surrounding environment. 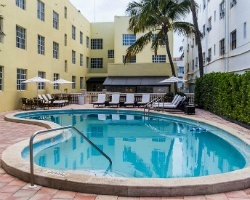 This boutique-style property is situated on Collins Avenue between the world-famous Ocean Drive and the Fontainebleau Hilton, and offers one- and two-bedroom villas on the shore of the Atlantic Ocean. A four-mile boardwalk is nearby. 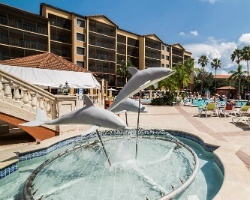 Convenient to Walt Disney World Resort, Universal Orlando Resort and SeaWorld Orlando, *Westgate Towers* is the perfect spot for your next family vacation. 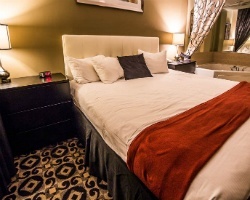 Luxury one- and two-bedroom suites sleep four and eight people respectively, and feature a fully equipped gourmet kitchen, color television with video cassette player and private terrace. 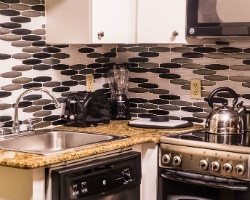 A luxury studio with kitchenette and whirlpool marble tub is also available. 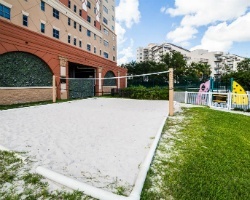 Westgate Towers offers direct access to all amenities at Westgate Vacation Villas and Westgate Town Center, including three heated pools, tennis courts, volleyball courts, basketball courts, shuffleboard, bicycles and paddle-boats, as well as a planned activities schedule. Large suite to accommodate friends and family! Floating usage! Buyer may receive a title fee credit, inquire for details! Motivated Seller! Negotiable! Fabulous resort only minutes from the strip! Annual floating week! Buyer may receive a title fee credit! 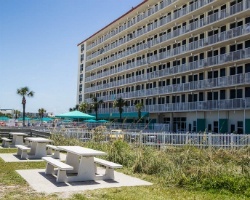 Perfect yearly vacation spot close to attractions and entertainment! Buyer may receive a title fee credit, inquire for details! Awesome 3 bedroom Lock-off! If you enjoy theme parks, this resort is in a prime location! Buyer May Receive Title Fee Credit!! Ready to Negotiate!!! 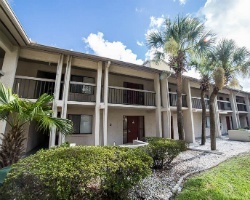 Outstanding accommodations just minutes from theme parks! Week 10! Buyer may receive a title fee credit, inquire for details! Enjoy having all the comforts of home and more! Floating week every year! Buyer may receive a title fee credit, inquire for details! Family friendly resort location! Easy access to the area's many attractions! Buyer may receive a title fee credit, inquire for details! Great resort for outdoor lovers! Ski season week of your choice! Buyer may receive a title fee credit, inquire for details! 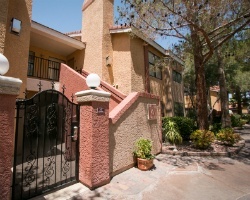 Great resort just minutes from the parks! Week 15! Buyer may receive a title fee credit, inquire for details! 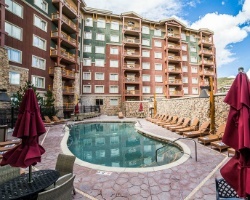 Beautiful resort with views of mountains and creeks! Maintenance fees are current for 2018! Buyer may receive a title fee credit, inquire for details! Close to all the Orlando excitement from theme parks, dining and more! Buyer may receive a title fee credit, inquire for details! Biennial even usage! Enjoy family vacations in Orlando in any floating week! Buyer may receive a title fee credit, inquire for details! Perfect resort for a family vacation to Disney! Floating week! Buyer may receive a title fee credit, inquire for details! Prime resort location for golf lovers! Close to many courses, restaurants and more! Buyer may receive a title fee credit, inquire for details! Modern resort with all the comforts of home and more! Close to the beach! Floating week! Inquire for details! Marvelous Miami Beach resort! Buyer may receive a title fee credit, inquire for details! Perfect resort for theme park lovers! Floating usage! Buyer may receive a title fee credit, inquire for details! Enjoy having all the comforts of home, away from home! Choose your dates every year! Buyer may receive a title fee credit, inquire for details! Family friendly resort with easy access to the theme parks! Week 26! July 4th Week! Buyer may receive a title fee credit, inquire for details! Week 9 but can float during all weeks! Christmas and New Year's can be used for an extra fee! Buyer may receive a title fee credit, inquire today! Great rustic mountain top retreat with stunning views! Indoor Water Park open all year! Buyer may receive a title fee credit, inquire for details! Close to many activities and attractions for all ages! Week 52! Buyer may receive a title fee credit, inquire for details! Breathtaking resort with amazing views! Odd week 47! Buyer may receive a title fee credit, inquire for details!